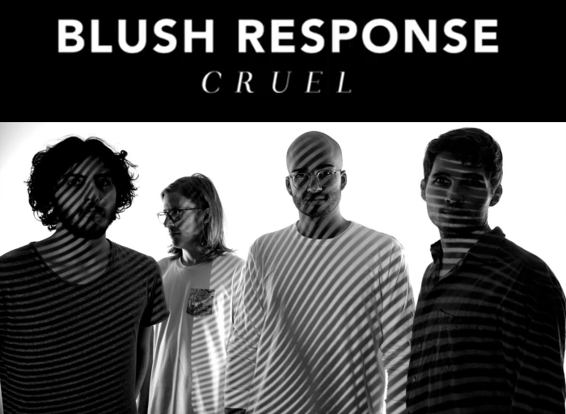 We are extremely proud to present the exclusive world premiere of Blush Response’s brand-new video for their song “Cruel”. 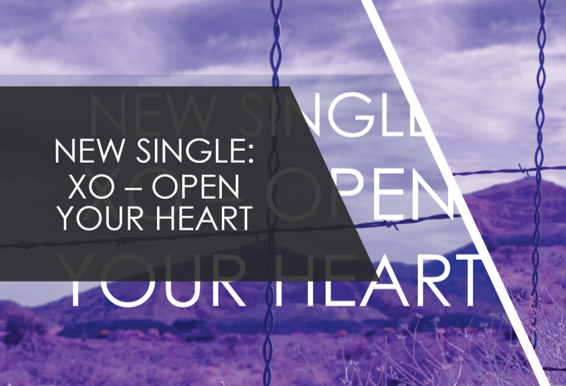 “Cruel” is taken from the Australian quartet’s exceptional 2018 LP, Hearts Grow Dull, released in April. Amber recently dubbed the album her favorite full-length release of 2018 thus far, so our excitement about this premiere is truly off the charts. The video for “Cruel” foregoes the ubiquitous blurry lights and swirly colors typical of shoegaze videos and instead explores more fertile ground, focusing on themes of tragedy, unity, loneliness, and self-destruction. Directed and edited by Alister Douglas and filmed by Thomas Smeets, the video follows the main character into three different scenarios in which he is alone and seemingly invisible to those around him. When the other characters are unwillingly pulled into the chaos that inevitably befalls him in each scene, his tragedies have an unexpected effect on them. It's a uniquely wild ride -- humorous and utterly dark at the same time. The video for "Cruel" can be viewed below. We are honored to share it with the world on behalf of Blush Response. 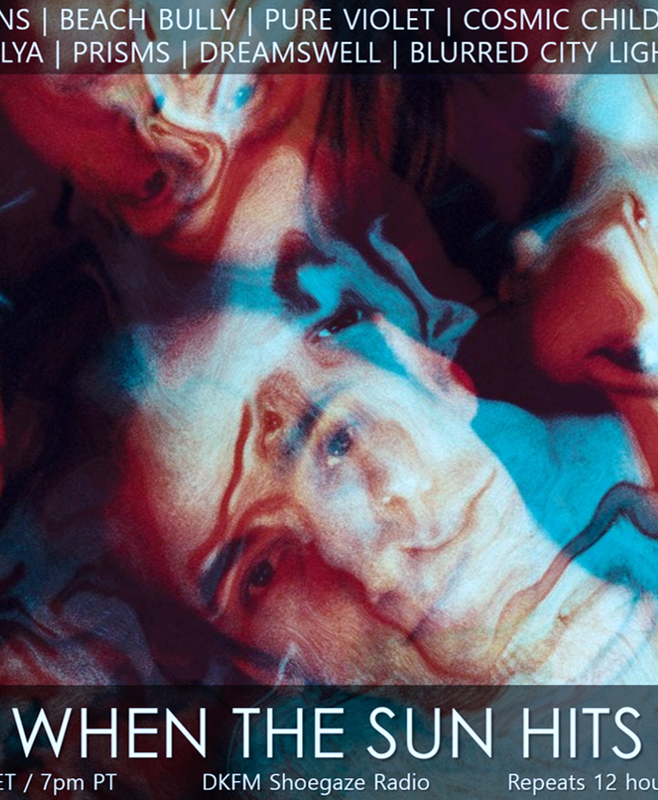 WTSH 132 is now streaming on Mixcloud! TONIGHT! Exclusive World Premiere of The Daysleepers' new single on WTSH. 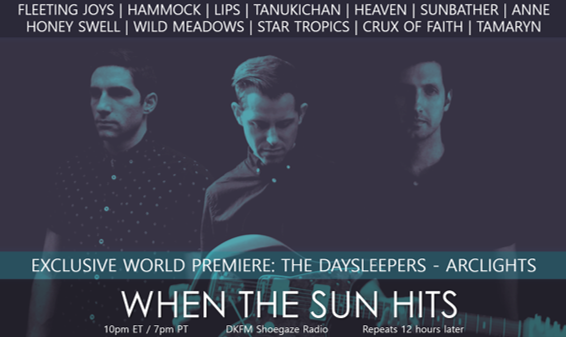 TONIGHT on WTSH: Catch an exclusive world premiere of The Daysleepers’ new single, “Arclights”! “Arclights” is the fourth and final single taken from the band’s forthcoming and long-awaited full-length LP, Creation, which is set for release on September 7, 2018. Digital preorders for Creation will start via Bandcamp and iTunes this Friday, August 10 and will include immediate downloads of all four singles to tide you over until the full album release! Additionally, please help us make the vinyl Black Hole Splatter Edition of Creation happen by pre-ordering yours! There are only 8 days left for this campaign and I'm going to be heartbroken if the vinyl doesn't happen. It's one of the most beautiful vinyl editions I've ever seen. GO BUY IT. Support independent artists! Also on tonight’s program – Fleeting Joys, Tanukichan, LIPS, Hammock, Heaven, Wild Meadows, Honey Swell, Tamaryn, Star Tropics, Sunbather + MORE! at decayfm.com or via the app!